If you’re rushing to get out the door in the morning and avoid a tardy start to the school day, then trying to find a misplaced backpack, water bottle or pair of shoes is the last thing you want to encounter. While most families don’t have a dedicated mud room built into their home, I know we don’t, there are easy solutions to help you and your family stay organized. Get inspiration to create your own backpack station without having to commit to a multi-day project or operating heavy machinery. Creating a place where you organize backpacks & school supplies is a fantastic solution to corral your child’s belongings into one easy-to-find-place. When your kids run out in the morning and back through the door after a long day at school, they’ll learn to put backpacks, shoes, jackets and hats in one spot instead of randomly dropped throughout the house. Say goodbye to the breadcrumb trail of belongings scattered throughout your house. 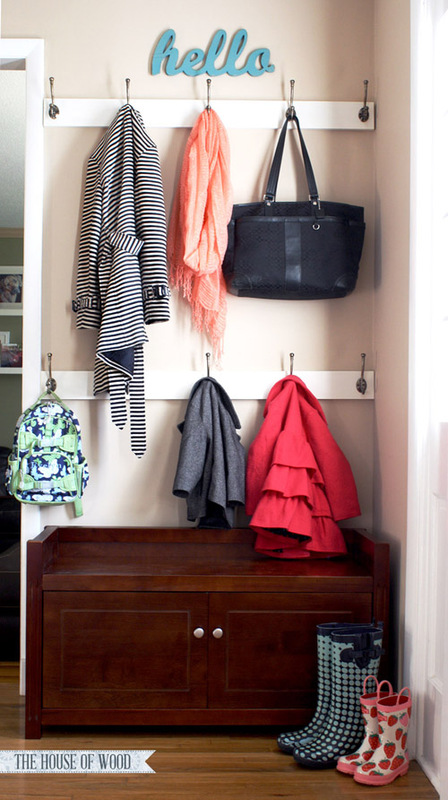 Here are 9 easy storage solutions to inspire you to create a school drop zone for backpacks and belongings in your house. 1) Crafting Southern Mama expertly uses cork boards as a great way to stay on top of paperwork and reminders. This would be great to put up school schedules, sports schedules, birthday invites, and other dates to remember. The double hooks are great for backpacks and jackets too! 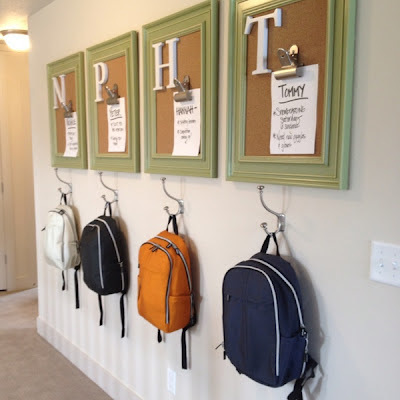 2) A Mom’s Take turns a blank wall into a simple backpack station with a pop of color. 3) I’m an Organizing Junkie added double hooks (board wall optional) and mesh baskets for school papers and made this blank wall function for kids to hang backpacks and jackets. 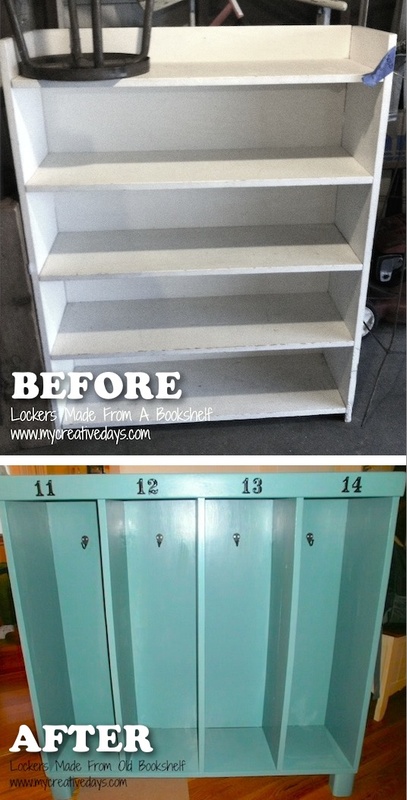 5) Turn a bookcase on it’s side for instant cuties. Add hooks in each nook for jackets and backpacks and even place a basket at the bottom to catch all the extras or a pair of shoes by My Creative Days. 6) A DIY Backpack Station with chalkboards for names, memos and reminders. Cute if you have a little extra time and skills at carpentry. Via Batmom. 7) Short on space? This is a fantastic storage solution using a white 7 Runner Elfa System (Container Store) with mesh baskets and a wooden top to hold supplies. 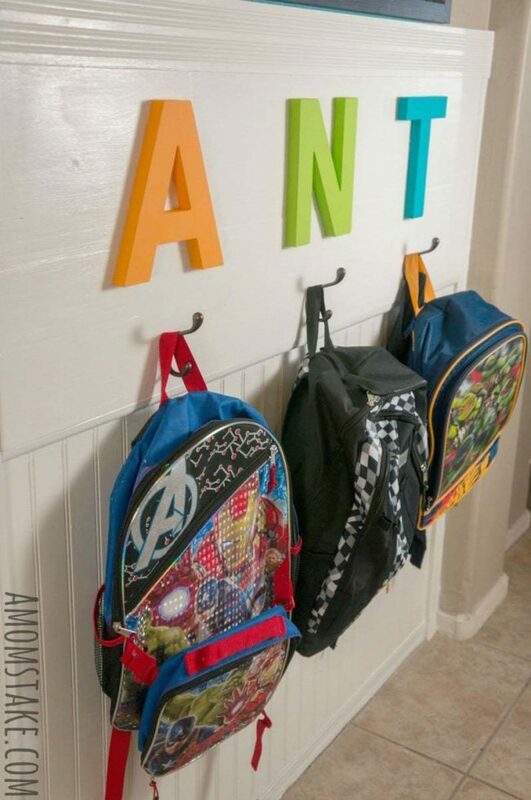 Hang hooks on the sides to hold backpacks, jackets, hats and other items. Pure genius, right!? Via The Organised Housewife. 8) With double hooks and a stylish storage seat bench, this is the perfect place for shoes, backpacks and jackets! I love storage furniture to hide items and make your home look uncluttered. Via The House of Wood. 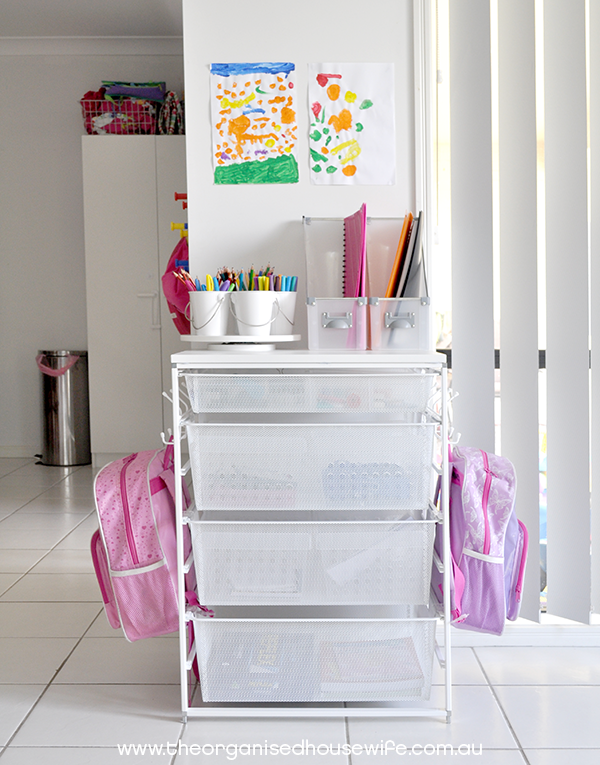 9) This is a great small-space cubby to hold all your kid’s items in one easy to locate spot. 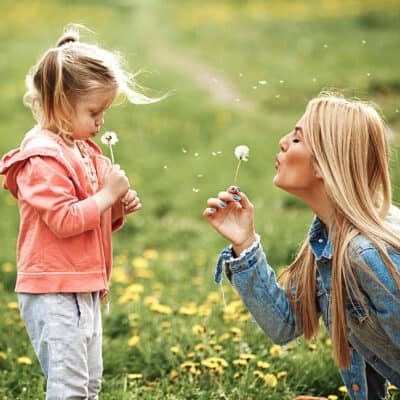 If your kids are small, a stepping stool, lowered hooks or hooks adhered to one side might be a good option as they get the hang of stashing their goods. Via ApartmentTherapy. I love all of these ideas! 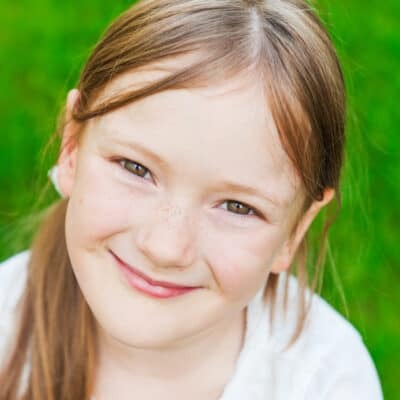 School – and kids – are overwhelming enough without a whole bunch of backpacks and shoes all over the house. Visiting from Show + Tell party. Lots of great ideas here! I have to put mine back together. Thanks for the inspiration! Thank you for sharing on Merry Monday! Hope to see ya next week!